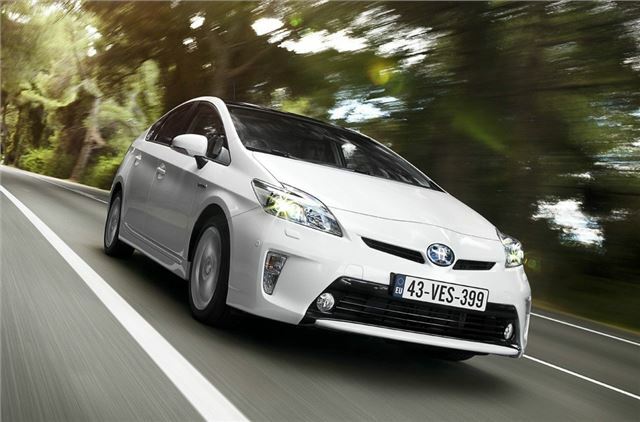 Toyota has overhauled its economical Prius hybrid for 2012, with improved interior quality, higher equipment specifications and improved dynamics. It goes on sale in March, priced from £21,350. As always, emissions are low at 89g/km, with fuel official economy of 72.4mpg. Externally, the Prius has slightly revised front-end styling, with new headlights and relocated daytime running lights. Material quality has been improved in the cabin, with new upholstery, new seats and soft-touch surfaces. Equipment has been improved, and the most notable improvement comes in the form of Toyota’s ‘Touch’ infotainment system, which features Bluetooth, rear-view camera, and a USB port. The higher spec Touch and Go system features and internet access, as well as Google maps based sat nav. Touch is standard across the range, with the Touch and Go system offered as an option on T3 and T4 models, and standard on T Spirit. Further additional equipment includes LED daytime running lights and folding heated wing mirrors for T3 models. T4 models get an uprated audio system, and top spec T Spirit cars come with water-repellent glass, dusk sensing headlights and an auto-dimming rear view mirror. The body rigidity has been increased by using additional welds in key areas. This allows for a softer suspension set up, improving ride without any adverse effect on handling. The steering has been revised to offer more feedback, and refinement has been upped by the addition of more soun-deadening materials. Entry level T3 models are priced from £21,350, rising to £23,080 for the mid spec T4 and £24,620 for the T Spirit. All fall into VED band A, which is free, and are congestion charge exempt.